In the esteemed words of Bill S. Preston and Ted “Theodore” Logan, I welcome you to a most excellent second instalment of Microsoft Technology Posters. For those who missed yesterdays “Fantastic 4: Rise of the Silver Server” edition, step into our fantastical time machine and travel back to yesteryear (yesterday) to check out our first instalment of Microsoft Technology Posters. This poster was made possible thanks to a “totally bodacious dude” who goes by the Twitter handle @TheTerinator. 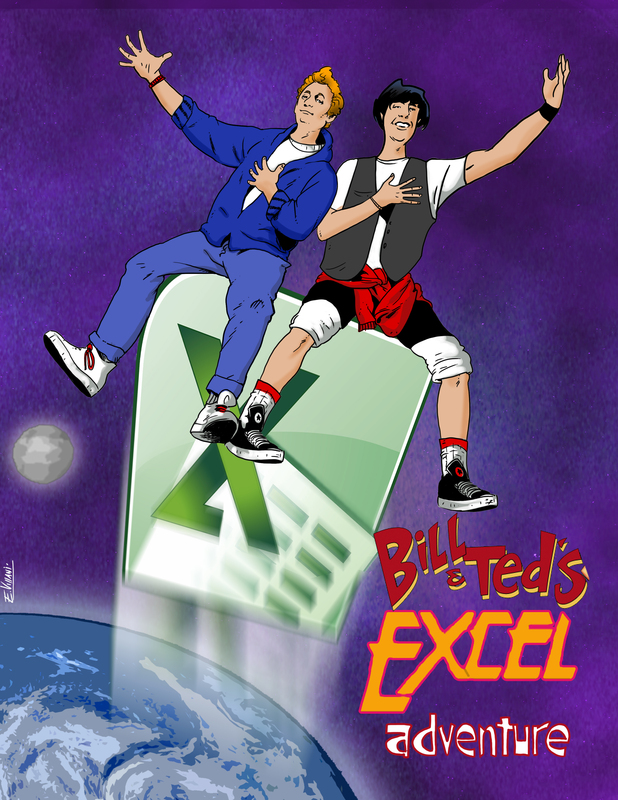 As we gaze upon this magnificent masterpiece, one can only imagine what kind of adventures Bill and Ted would have gotten up to back in 1989, as they poured through spreadsheets packed full of data on Excel 2.2 (according to Wikipedia, whatever that website is), revealing hidden trends and insights lodged within the cells. As I let your minds wonder on the numerous possibilities enjoy the Movie Poster Parody below. Perhaps you have a Microsoft Technology Poster Parody you wish to share with us, tweet us at @beafirebrand.